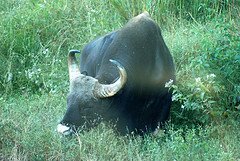 Parambikulam Wildlife Sanctuary is situated between Annamalai ranges of Tamil Nadu and the Nelliampathy ranges of Kerala, near Palakkad, spread over an area of 285 sq. kilometers. This wildlife sanctuary has some marshy land and scattered patches of grassland, thickly forested with stands of bamboo, sandalwood, rosewood, and teak. The famous Kannimari teak tree, the largest in Asia as teak plantations, is one of the prime attractions at the Parambikulam Sanctuary.The area has some hill tribes like Malayars, Kadas, and Muthuvaas. This sanctuary houses the largest population of Gaurs (bison). The other animals are elephants, sloth bears, wild boars, sambhars, chital tigers, panthers, and crocodiles. There are also bonnet macaques, spectacled cobras, kraits, vipers, turtles, darters, little cormorants, and black eagles. 2) Kairali Ayurvedic Health Resort in Olasseri, Palakkad Dist with great ambiance.It is one of great places for detoxification, rejuvenation treatments. 3. Palakkad Heritage Hotel, Karuvannuthara, Bye Pass Road, Koduvayur,Palakkad. By Air – The nearest Airport is Coimbatore. (55 kms).